What is the rule for the Harmonic Interval Stem Direction? 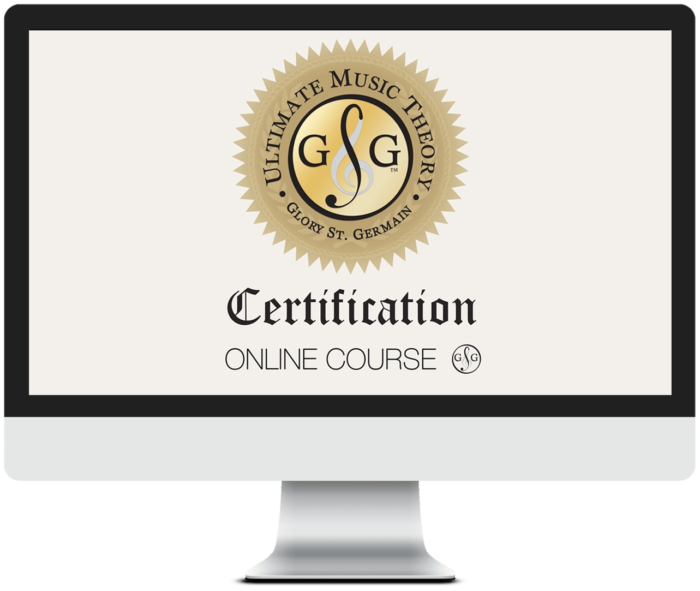 Writing a Harmonic Second using Quarter Notes or Half Notes seems like a pretty simple thing, right? I thought so until I started teaching the harmonic interval stem direction of a second. Then I realized that I struggled with understanding why my students were writing incorrect notes. How did that happen? Share your Harmonic Interval Stem Direction Experience at the bottom of the blog. A Quarter Note is written with a black face and a stem. A Half Note is written with a white face and a stem. The stem direction goes up on the right and down on the left. Easy, right? Alas, there are so many music decorations out there with incorrect stem placement, it drives me crazy! The reason is that the designers take a note and flip it instead of rotating it. Do you recognize any of those incorrect notes? I’ve seen them on coffee cups, earrings, socks, etc. Students often copy what they see around them, so when your student sees these incorrect notes and stem placements on their t-shirt, they don’t think twice about writing them in their theory. 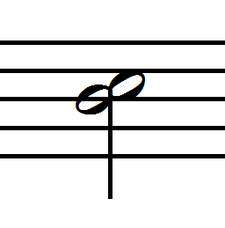 In printed music, a Half Note is written with a fancy shaded effect around the circle. Students are not expected to be that fancy when writing a half note! They do not need to copy what they see - a simple circle with a stem is all that is required. UMT Tip – a stem is approximately one octave in length. When writing the Harmonic Interval Stem Direction of a 2nd using Quarter Notes or Half Notes, what are some of the funny mistakes you have seen your students do? 1. One stem is used, but on the left (or right) side of the harmonic 2nd noteheads. 2. Two stems are used, one for each notehead. UMT Tip – A Harmonic Interval Stem Direction of a 2nd written using Quarter Notes or Half Notes will use 1 stem. The stem is placed in between the two noteheads. 3. The stem points in the incorrect direction. 4. One stem is used for the stem down note and one stem is used for the stem up note. The Harmonic Interval Stem Direction will follow the Stem Rule of the note that is the furthest away from the middle line. BELOW the middle line, stem UP on the right. When writing a Harmonic Second, write the noteheads first (lower note on the left) then add the stem pointing in the proper direction for the note that is the furthest away from the middle line. UMT Tip - Do you want to teach your students a fun Stem Rule Memory Jogger using pizza and donuts? 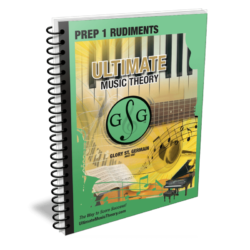 Check out Prep 1 Rudiments Theory Workbook on Page 40. Next time you want to buy that necklace with the quarter note pendants, or that t-shirt with all the notes on it – double check the stems! If the designer is using incorrect stem placements, then don’t buy it. Or, well, we could just teach our students – who are the future designers of the world – to write Harmonic Interval Stem Direction using Quarter Notes and Half Notes correctly, and to follow proper placement of stems using the Stem Rule. Starting them in Prep 1 Rudiments with their beginner method books, assigning one page of Rudiments Theory each week, starts them on the road to success. Theory becomes part of their practice routine from day #1. By using the Prep 1 Rudiments Theory Workbook alongside their method books, your students learn all the theory tips and Memory Joggers that will create a firm pedagogic and theoretic foundation. And they will learn how to place their stems properly! P.S. Join the conversation. Have you ever received a gift that had incorrectly written notes on it? Share your story below. I could not agree with you more. There’s nothing worse than incorrect stems on clothing or even music accessories like pencil sharpeners and erasers etc. It’s time the designers of such articles got it right.